The present study deals with strain measurements and their numerical analysis for a niobium titanium wire wounded superconducting sextupole coil in a multi-field operation environment, including cooling down, excitation, and quench. Four low-temperature resistance strain gauges with designed compensation circuits were affixed directly on the surface of the superconducting wires but within glass fiber cloth. Before the sextuple coil’s test was carried out, for the purpose of reliability, based on the designed compensation circuit, some basic experiments were carried out during cooling down, excitation, and quench. 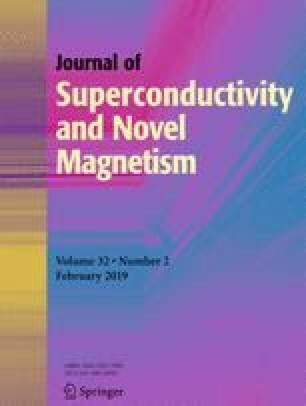 The experimental results showed that the shallow embedded low-temperature resistance strain gauges were still highly reproducible with an error of 1% for a variable magnetic field and an error of 5% for a variable thermal field by executing various modes. It shows multi-stage strain monitoring is feasible for the superconducting sextupole. In addition, a numerical multiphysics model for the sextuple coil is also built from Maxwell’s equations and the equilibrium equations for mechanical and thermal deformation. A self-tested elastic modulus of NbTi/Cu stack with epoxy, which is cut from a NbTi/Cu sextupole prototype, at low temperature is used in this simulation. The numerical results have reasonable agreement with the experimental observations and show the multiphysics model with self-tested elastic modulus can be applied to analysis strain behaviors under complicated fields before superconducting magnet assembly. The present results will also provide some strain-measuring technology and multiphysics numerical analysis on an LTS/HTS superconducting magnet developed at the Institute of Modern Physics, Chinese Academy of Sciences (IMP, CAS). The authors would like to acknowledge the support of China Postdoctoral Science Foundation (2014M560820) and China Postdoctoral Science Special Foundation (2015T81071).